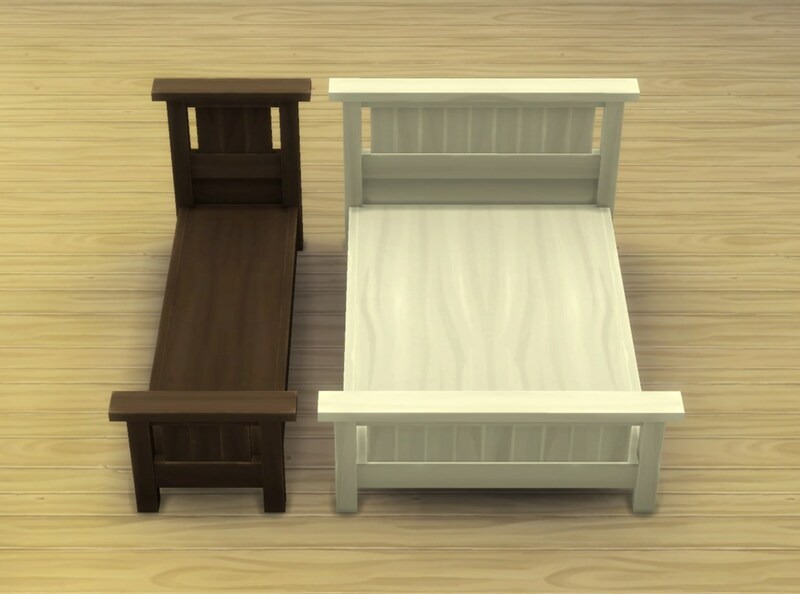 A single and double bed frame re-meshed from the Maxis Double/Single Mission beds. 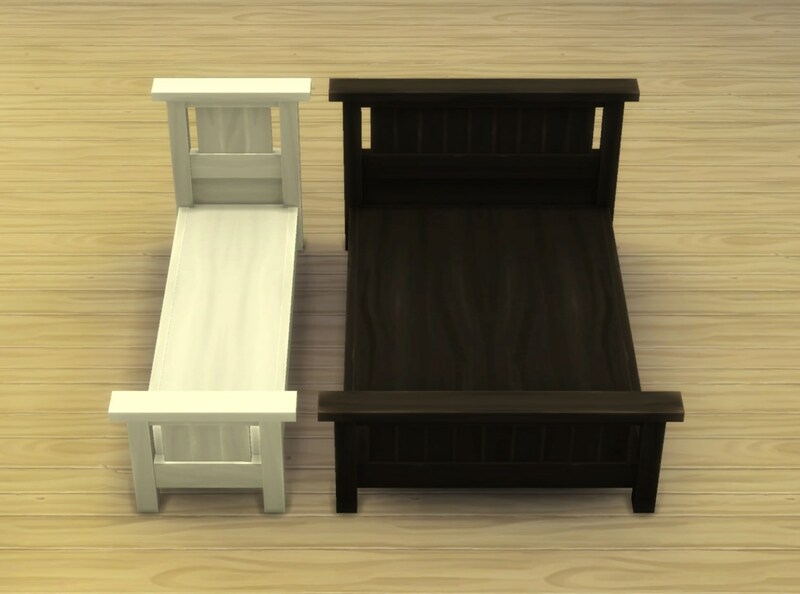 This is also available as an override for those beds here. 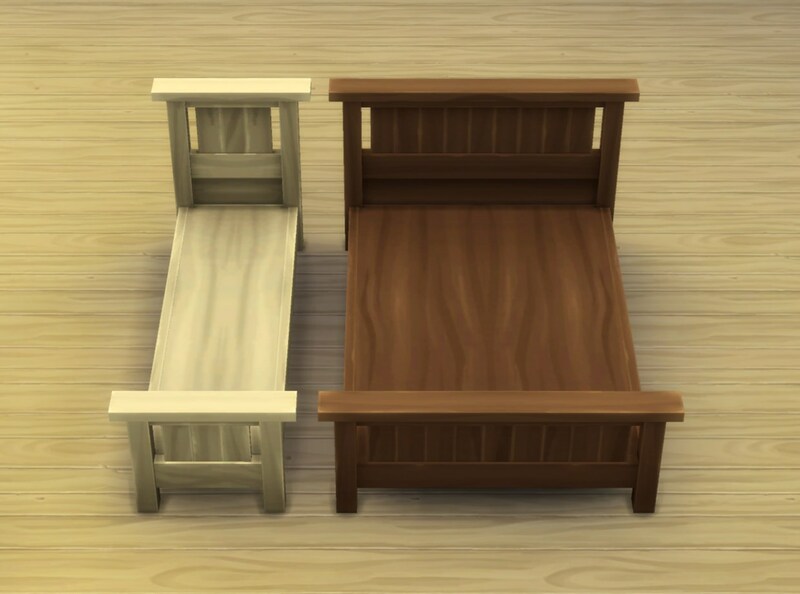 They cost 250§ / 500§, six colour options each (I only linked those variants that have different wood textures by default). 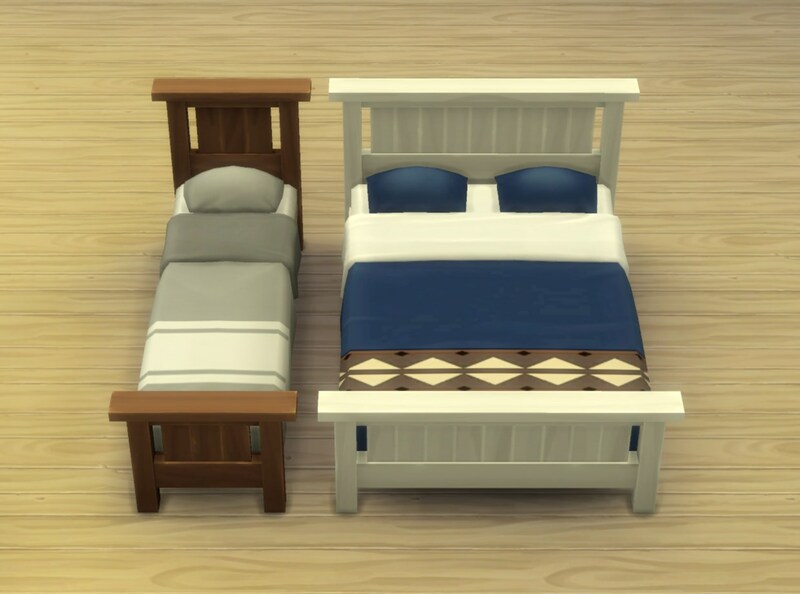 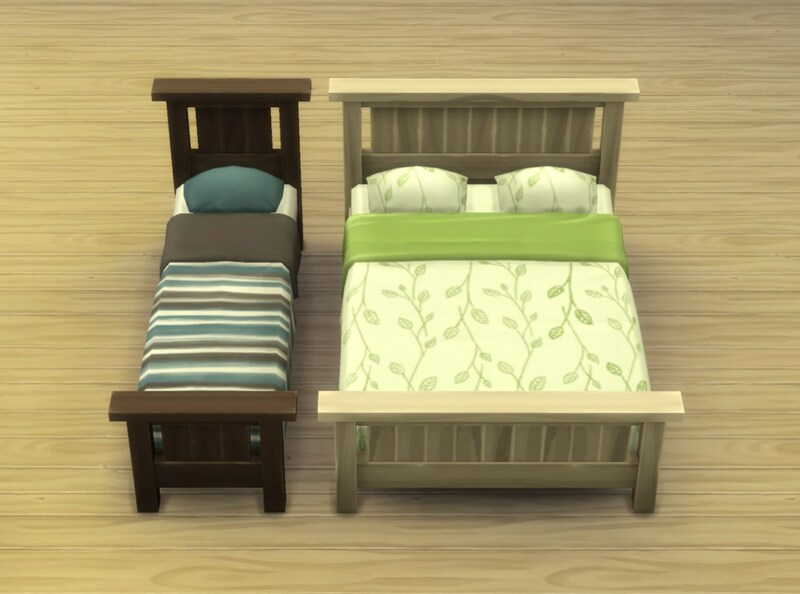 All textures are referenced from the Maxis beds so there's no clutter in the package and any overrides for the original beds will work on these too. 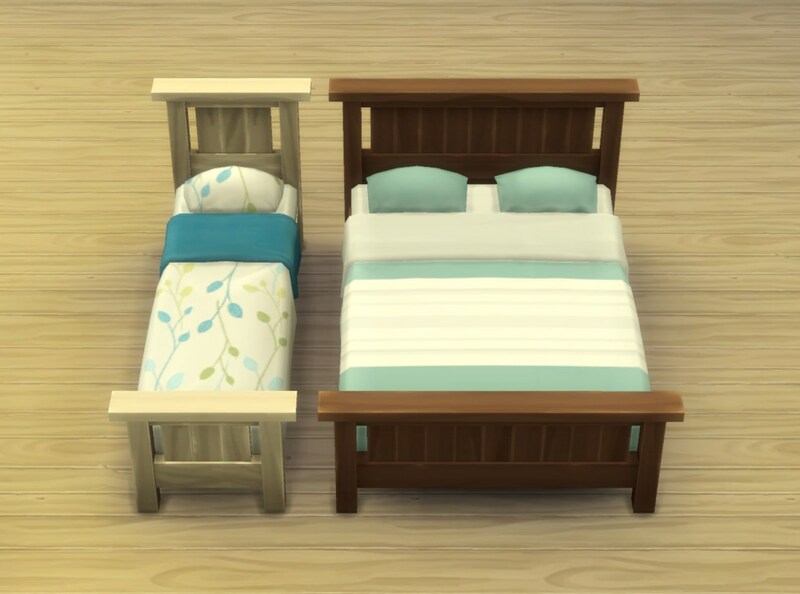 The frames can intersect objects (so they won't block the mattresses) but not walls; they have no funny “View” options or anything like that (“Admire New Possession” does work on them though). 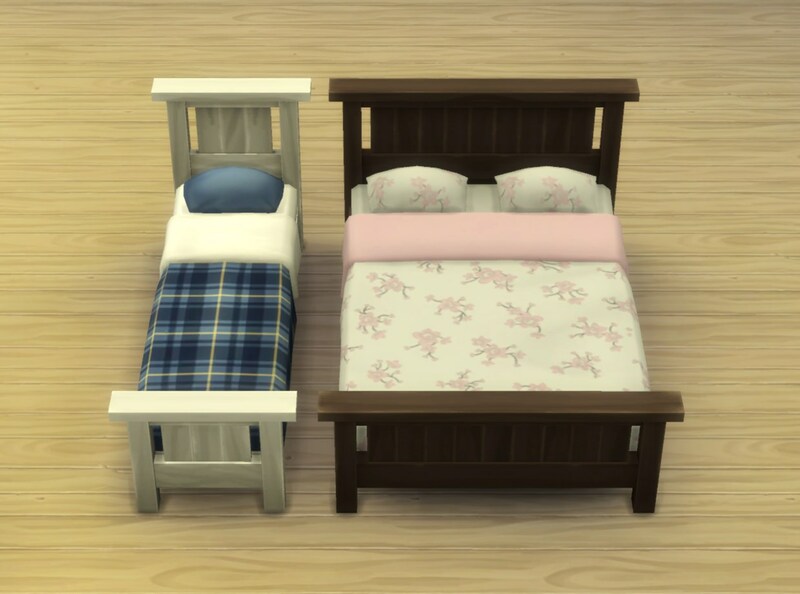 The mattresses on the screenshot above are from this post (Maxis bedding made available as separate mattresses, by myself). 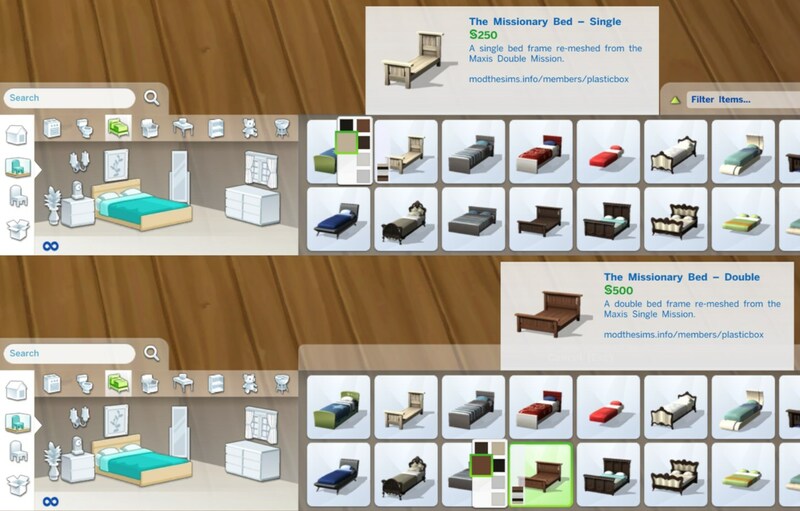 Some playtesting screenshots are also in that post.